2 Bedrooms, 1 Bathroom, With mountain views & river acesses. 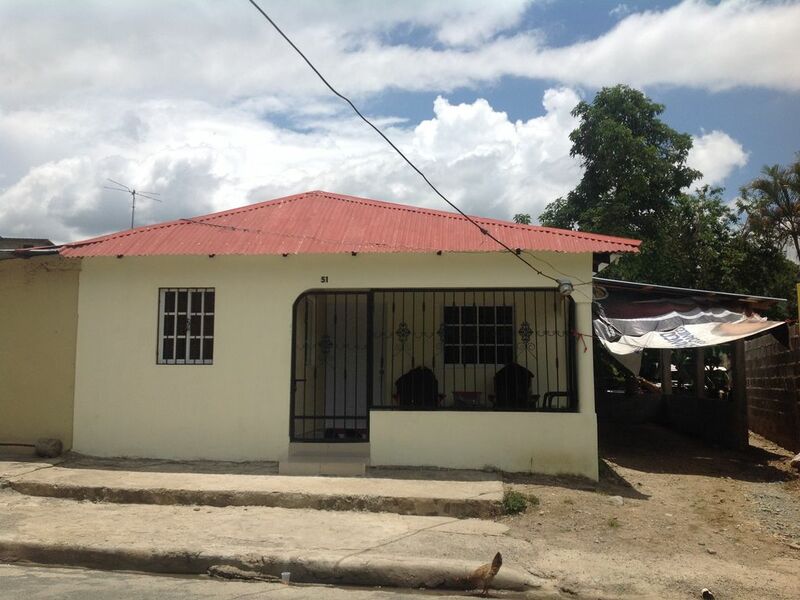 This is a new construction small 2 bedroom house, just a 3 min walk from the local Kingdom Hall. This is not the a absolute lowest price vacation rental or the fanciest, but for the price it is the best you will be able to find in the area. The main attraction here is the highest peak in the Caribbean, Pico Duarte. It is cool all year around in the morning and evening, unlike most of the island. The people are warm, friendly and speak Spanish. Our care taker speaks English and Spanish, he grew up in NY so he is a very fluent with the English language. If you like to do volunteer work there are a few options. There is an Eco- lodge in Angostura that hosts small and large groups from the states that are interested in re-forestation, helping the environment and living off the land. Or if you would rather focus on people, there are many that are in need of learning basic bible truths. The people here have a respect for the bible and a high regard for the Creator. The house has 2 bedrooms and a full bathroom. The 2 bedrooms are at opposite ends of the hall way, one with a queen size bed & one with a twin loft bed & a full size bed. The total square footage including the patio on the front is 600 sq. Ft. This property is in the mountains where it is much cooler than the rest of the country. The small town is perfect for relaxing with the family. The house does not have a water heater, most in the country do not have hot water. It is very easy to heat water on the stove, mix it with cold water in the shower and take a bucket bath with warm water. There is only one paved street in town. The house is in the mountains with a mountain view. we have bedding for the beds we have. If you bring an air mattress please bring your own sheets. a small Dominican style washing machine. clothes will line dry in about 4 hours. we have 6 towels If you need more please bring them. there is a 6 burner stove in the kitchen. There will be some food items.